William M. Andrews, a talented twenty-three-year-old house carpenter, bought land on Hussey Street July 1, 1834, and on July 2 deeded the property, with “the new dwelling house” to Daniel Jones for $500. He certainly did not build the house in a day, and it is not clear exactly what he was up to, but Andrews scrambled to fund this house, borrowing next from David Baxter, who paid him $1,000 for the property, and transferred it back to Andrews for $1 a year and a half later. Baxter’s own new house was completed at 28 India Street in 1836, and it is possible that Andrews worked off the $1,000 owed Baxter with labor on that grand residence, built by John Brown Coleman, a likely mentor for Andrews. 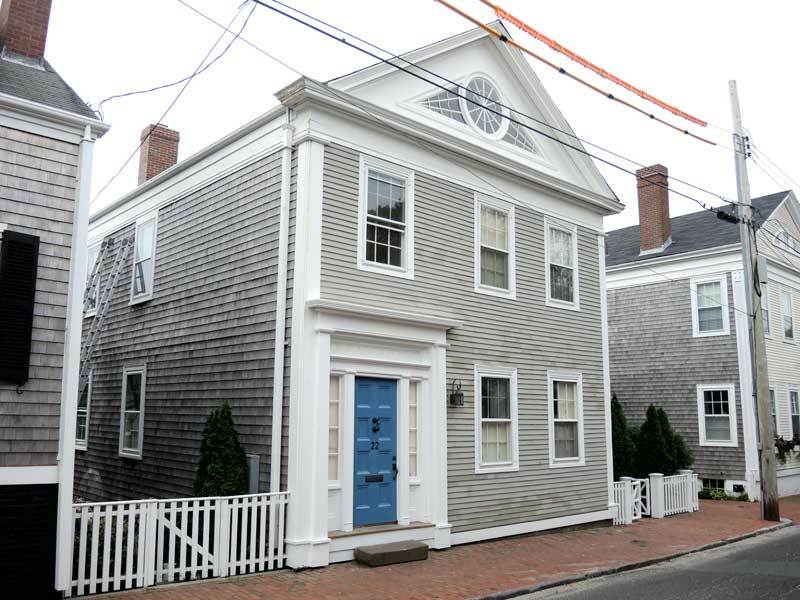 Andrews sold the house at 22 Hussey Street to Henry Parkerson (a.k.a. Parkinson) for $1,800 on December 30, 1836. 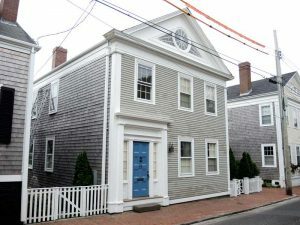 Parkerson, a mason, owned it until 1848, two years after the Great Fire, when he sold it to master mariner John Riddell, who extended the property sixteen feet southward when he purchased land behind the house in 1854. The Riddell family owned the house for over thirty years.